Islamabad: Pakistan’s main highway was closed for traffic for a few hours on Monday as the surrounding air filled with loud whooshing sounds. 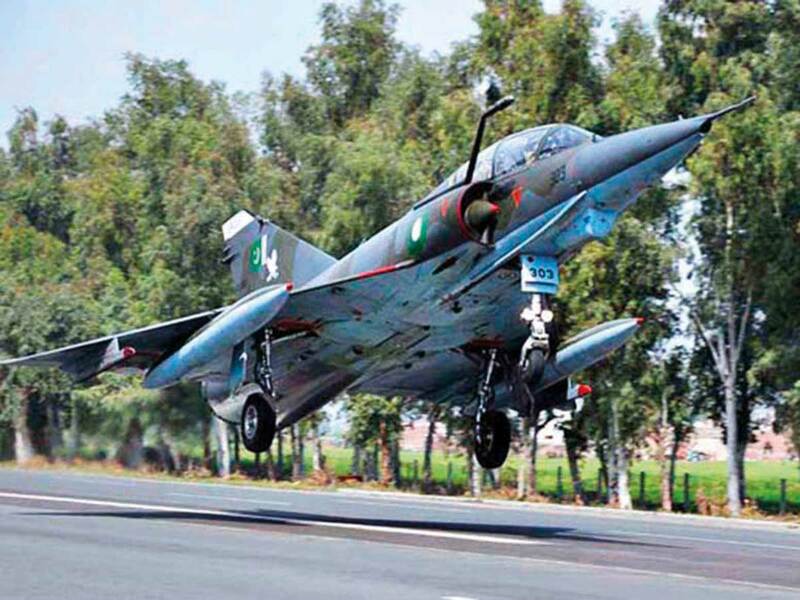 The reason was the demonstration capability of off-runway operations by Pakistan Air Force (PAF) aircraft, which was carried out at multiple locations along motorways and highways, according to PAF. After landing, the F-7PG and Mirage-5 aircraft were also refuelled and rearmed “to demonstrate the capability of PAF in being able to sustain high tempo air operations” the statement said. Federal Minister for Communications Murad Saeed along with senior civil and military officials witnessed the operations. The images and videos of the aircraft landing and take-off generated a lot of public interest as passions are still running high in Pakistan after the recent conflict and dogfight with India. But the exercise has taken place almost every year for more than a decade. Talking to Gulf News, Air Marshal (retd) Mirza Zafar Hussain offered insight on why PAF occasionally holds such exercises. The aircraft normally requires a straight patch, which is about 3 kilometres long and 45 metres wide. According to Hussain, the alternate landing exercise is common in other countries. “The concept first originated in the West and is currently practiced in many countries including Singapore, Sweden, Japan,” he said. Even in neighbouring India, these practices are becoming common. The exercise is to ensure not only landing and take-off but also rearming and fuelling in case of any emergency, especially wartime, during which highways could be used. Describing the reason behind the drills, Shahid Raza, defence and strategic affairs expert who heads the think tank Caspian Institute, told Gulf News that such practices are tactical requirement of countries with a small air force as the countries with strategic depth such as US don’t have to prove such capabilities. “It is countries like Pakistan that use such tactics to demonstrate that they can replenish, recover and launch fighter aircraft from highways as well,” he said. The two aircraft used in the exercise included F-7PG and the Mirage-5, which is among the country’s ageing fleet as Pakistan first bought its Mirages 50 years ago and were first deployed in the 1971 India-Pakistan war. “The reason is to show the adversary that even our oldest and near-retirement aircraft have the capability to perform” as the air force “doesn’t need to prove the capacity of latest aircraft such as JF-17,” Raza explained. The other aircraft used in the drills, F-7PG, is an improved Chinese derivative of Russian/Indian MiG-21, which is “the same Indian aircraft that PAF recently shot down”, Raza said, referring to the downing of two Indian Air Force aircraft by PAF during recent tensions.